Taking the kids for a day out might as well be an adventure for all the family. There are endless fun activities on offer but why not try something a little off the beaten path to ensure that extra special day that neither you nor the kids will forget. 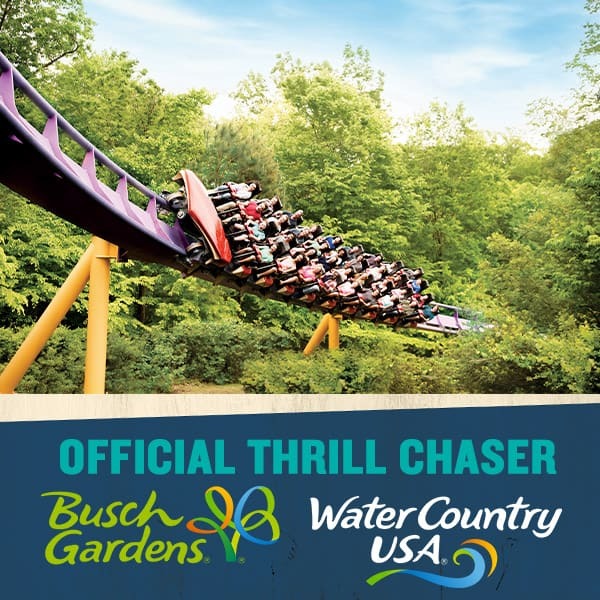 Also known as globe-riding and sphering, this activity is one for those seeking an adrenaline rush. 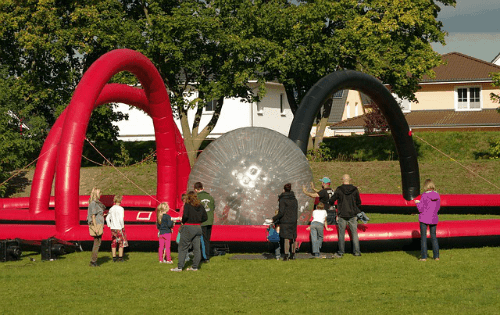 It involves rolling down a hill in a large inflatable ball – some of which allow you a certain amount of control, while others are more unpredictable. There are zorb balls that can contain multiple people, extreme runs and calmer variants in which you can walk over water! You can even buy your own zorb ball – but be careful where you take it. Most courses are specially set up to minimise danger and control the way you roll. The Segway was invented in 2001 and has since become somewhat of global phenomenon. These two-wheeled devices run on electric motors and are easy to ride. 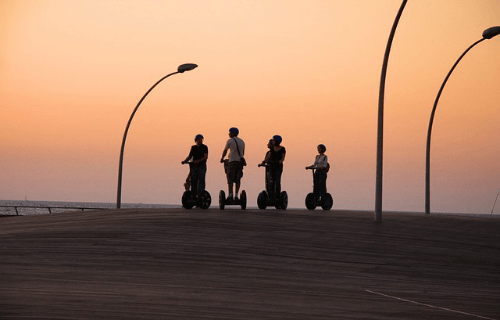 Many cities now offer Segway tours – an inventive way of seeing the sights. The kids also won’t get as bored as they would walking around, more occupied by the fun of driving a two-wheeled vehicle. 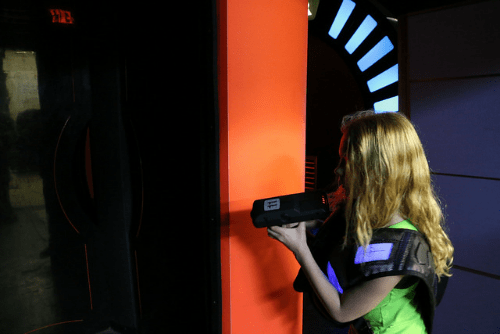 Paintballing can be a bit vicious – but have you tried laser tag? This kid-friendly version can be played indoors and essentially involves shooting at each other with lasers (every kid’s dream!). Each player wears a suit that when hit by a laser scores a point to whichever player made the shot. It’s great for parties, but you can also go as a family and go up against other families – or organise a kids versus parents match! Escape rooms are a very recent trend in which players must escape a room by solving puzzles. There are difficult adult versions and more simple kid-friendly versions, as well as games that can be played by the whole family. Escape rooms originated in Japan but have since branched out all over the world. This is a great activity to get everyone working together and encourage teamwork. Do note however that it can be as frustrating as it can be fun. When it comes to water activities, there are hundreds to choose from. Kayaking, bodyboarding, pedal boats and banana boats can all make for fun days out by the sea – a more active alternative to lazing around on the beach. 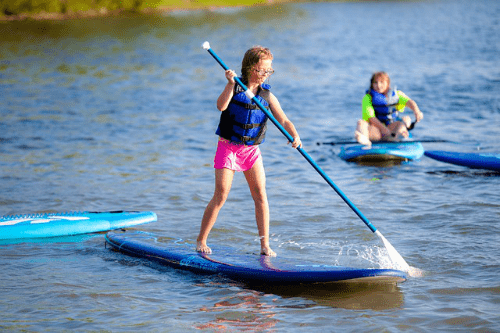 Paddleboarding is one of the more unusual sports that’s been swiftly gaining popularity. It involves standing up on a board whilst paddling. Whole families can get involved, with little ones sharing a board with parents if they’d prefer. You can go out an all attempt to self-teach yourself or go with an instructor and have a lesson. The great thing about this activity is that you can do it as competitively or leisurely as you desire. Just try not to lose that paddle!